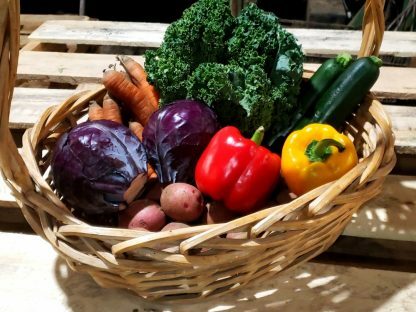 Receive 6 certified organic vegetable (occasional fruit or herb) items delivered to your door or picked up at our farm every week for 22 weeks (JUNE 6 – OCT 30). This is a suitable choice for families of 1 or 2 or those wanting to try out Farm Share for the first time. Items will be more basic veggies like asparagus, snap peas, carrots, lettuce, tomatoes, cucumbers and potatoes. 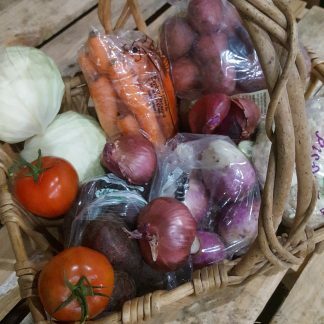 You may list 3 items with your order that you do not wish to receive for the season, but we do encourage you to try new things to get a full Farm Share experience. 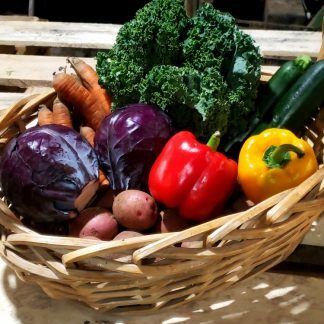 The share is purchased in advance of the season to support the farm as we prepare and plant the fields for you. Currently offering delivery to most of Durham Region, York Region, Scarborough, North York, Thornhill and Woodbridge. 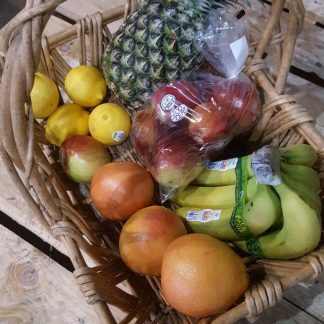 Delivery is included in the price or pick-up at the farm for a reduced price and the option to trade items.